The amount of natural light in your rooms can really affect your mood. Those blessed rays, filled with sunlight and vitamin D make you feel positive. It's natural that bright rooms make us feel happier, more alive and vibrant. Here are 11 ways to make the most of the natural light and create light spaces even in dark rooms. Getting more light into dark rooms is important; making the most of that natural light is vital. Did you know that you can double, even triple the amount of light in your room? Often natural light is trapped by the door or window; use these 11 decorating ideas to make the most of your light. Move it away from the edges and into the room. Walk from room to room. Do a quick assessment of where your natural light is coming from and work out where your problems lie. Do you have a dark living room, or do all your rooms need more natural light? Are dark wood floors in small spaces absorbing all your natural light? Is your problem heavy furniture or are small windows your problem? You can start by removing some of the offending items, then add them back to see if they make a difference. The more shiny surfaces you can add to rooms, the more light will reflect back into the room. Using objects like chandeliers, brass lighting, gold door knobs or silver photo frames, brass candlesticks, mirrors or acrylic clear furniture should become part of your decorating strategy. They help to bounce light around your room. The entry and hallway above has used light painted walls, large windows and a large entry mirror to reflect and magnify every piece of available light. 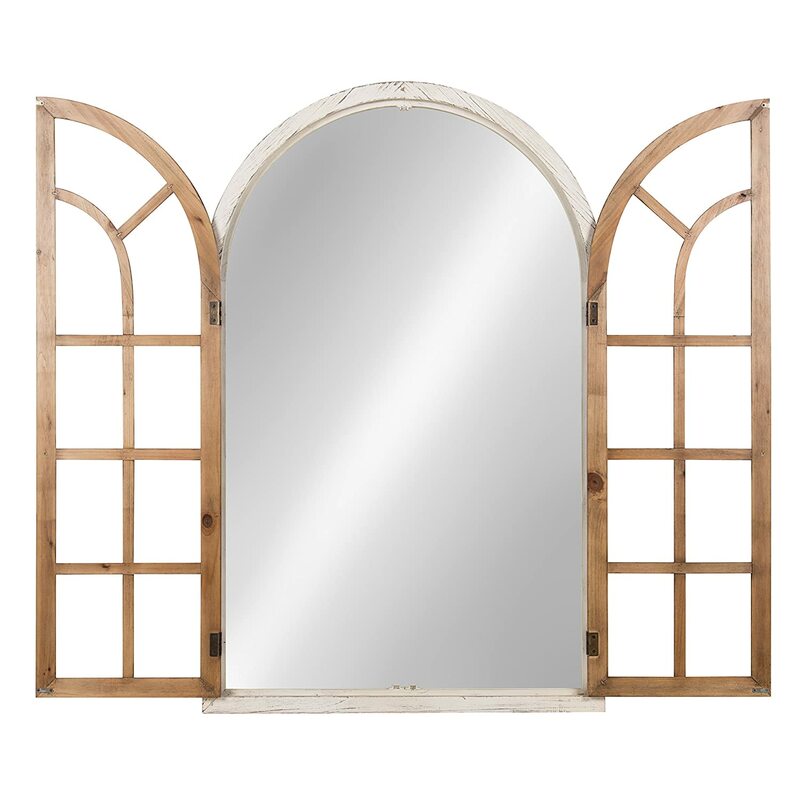 Large wall mirrors are a perfect decorating touch; and there are so many styles to choose: antique mirror, beveled mirror, sunburst or Venetian mirrors. 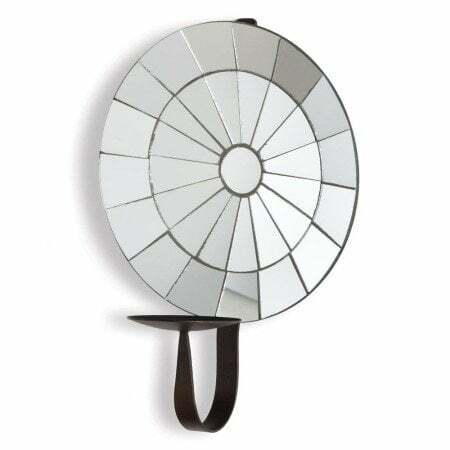 Wall sconces with mirrors magnify light, day or night. And the thicker the glass, the better. 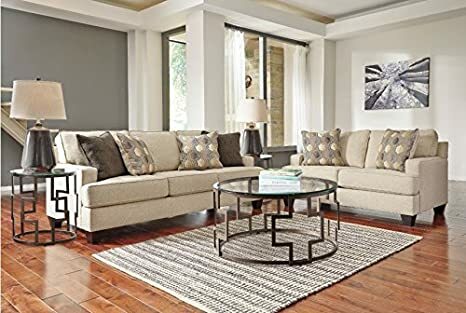 One simple thing, like placing a large mirrored wall hanging over a couch, could be all you need to sprinkle natural light through out your room, and not keep it trapped by the door or window. Use more than one to increase the light dramatically. This statement piece above could work anywhere; by an entry, over a fireplace or in a hallway. 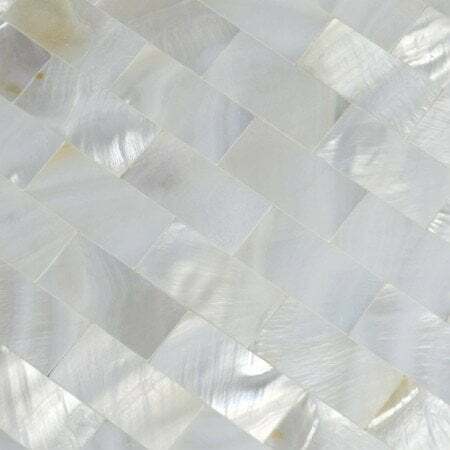 It's quite a large piece but as a wall panel, could give you the light you need and the look your want. 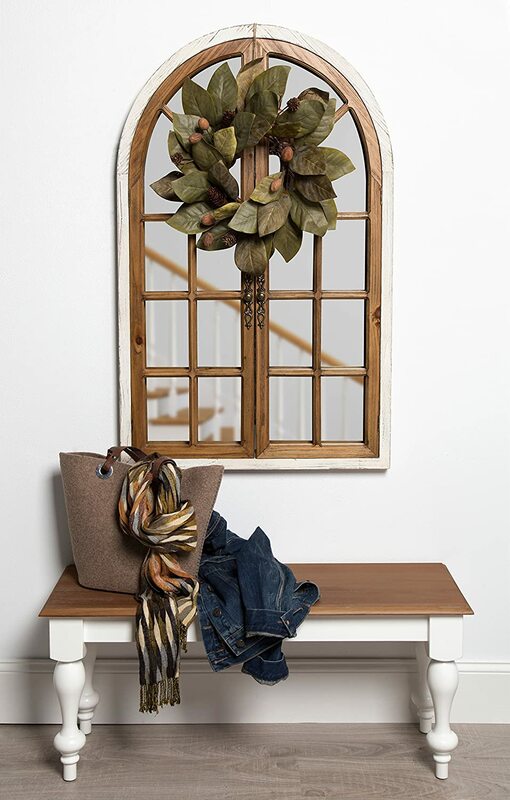 Place it near a window and us it like a picture window to reflect more natural light into your room. 1. Use the same size mirrors directly opposite one another. The seemingly infinite set of reflections creates a sense of endless depth, making the room feel bigger and lighter. 2. Add a large mirror to the end of a short hallway to make it look longer. Create a 'mirror effect' using as many shiny, metallic or glassy things as possible to amplify each item! Brass lettering give light to a dark wall. These can be found inexpensively but the look is dramatic and stylish. Thick window treatments and curtains often absorb precious natural light. Removing heavy or dark curtains will instantly add light into your dark rooms. Light colors and light weight fabrics both help to preserve natural light. Do you need larger windows or more appropriate window treatments? The simple curtain above is from Amazon. It is one piece of sheer fabric over a rod; the fabric is tied back in opposite directions to get the draped cross over look. The effect is layered and interesting. 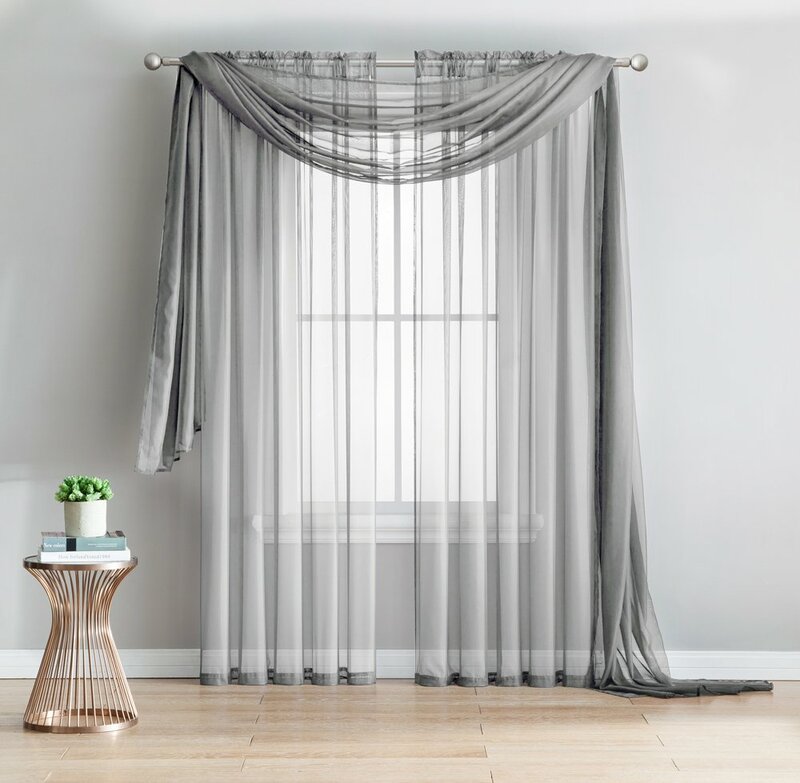 If you need curtains for privacy, use sheer, light fabrics. Darker colored fabrics absorb light. If you prefer a flush, minimalist look, shutters could be the answer. They control the amount of natural light into your room and protect your privacy. Depending on your budget you can get wood shutters or faux wood shutters, which are less expensive, but do the job, which is all that matters. Using glass in your doors is a great way to get more natural light further into your home. You can use frosted or tinted glass for privacy. Your choice will depend on the style of your home, budget and security preferences. 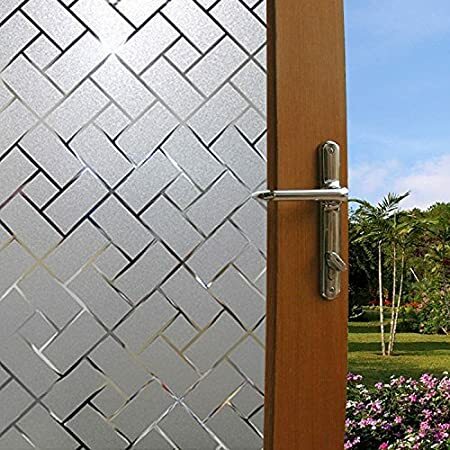 Try frosted film for windows for existing windows and doors. Its translucent and allows filtered light in. This is a great decorating hack for internal rooms as well as outdoor windows. Where possible, use glass doors to keep light flowing through hallways, entry or stairwell into rooms. In some cases, skylights are the only option that will really help but they are costly. This frosted window below moves natural light into the laundry. The idea of using glass continues with glass tabletops or acrylic chairs to increase light moving through your rooms. They can be used anywhere and look great. Here are three tables; different heights for different spaces. 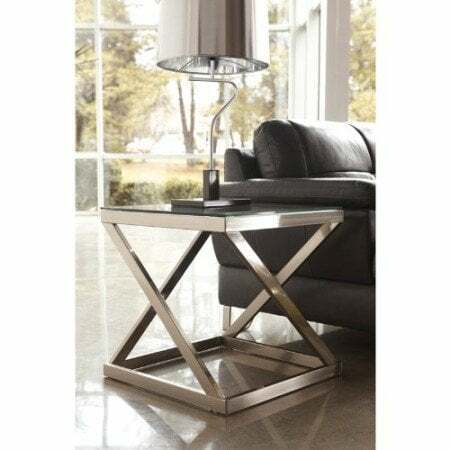 The first is great as an end table, the second glass table has removable white trays and the third is a cocktail table. Paint ideas for dark rooms include neutral colors; like mushroom, gray and white walls to improve light in dark rooms. Lighter paint colors will make your room feel lighter. Even so, many colors, no matter how light, absorb light. Select a light color that reflects, not absorbs, light. Add warmth with rich neutrals such as espresso brown, mushroom gray, warm rust colors and camel tan. 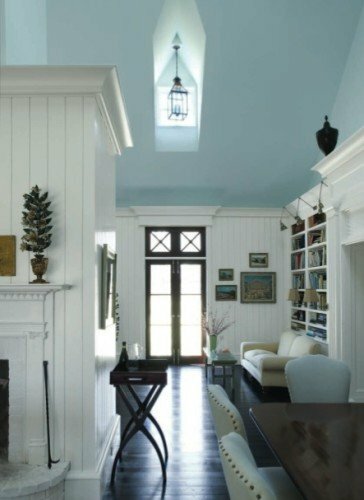 Add splashes color to your room by painting your ceiling or trim a different color; black trim, sky blue ceiling or warm floors. Neutrals, whites and tan paint colors are also versatile decorating color schemes. They are the perfect contrast if you have dark wood floors, doors or heavy wood furniture. What if you have a bedroom with little or no natural light? This video goes through some wall color options. If painting your walls isn't enough, add light colored floors; using paint, rugs or tiles. Floors make up a large area and this change can give your room the light lift it needs. The room below would look darker and smaller without white painted floorboards. Wood paneled ceilings or darkly painted ceilings absorb a lot of light. They also add style and drama. So, as a focal point, they are a keeper; but this is about getting more light. If you have dark ceilings, avoid dark walls and dark floors. You might get away with one, but not both. Adding a skylight is an option but do this carefully as it can take away from your existing architecture. If you don't like your dark ceiling, paint it white or light color, leaving beams dark or natural wood. Add recessed lighting fixtures if possible. 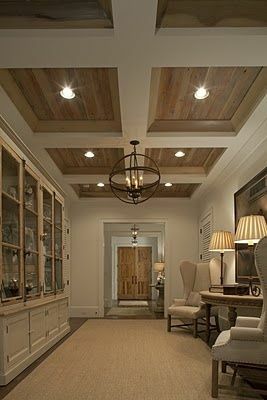 They add light to dark ceilings without destroying the character of your wood paneled ceilings or dark painted ceilings. Dimmer switches will help you control the light source. 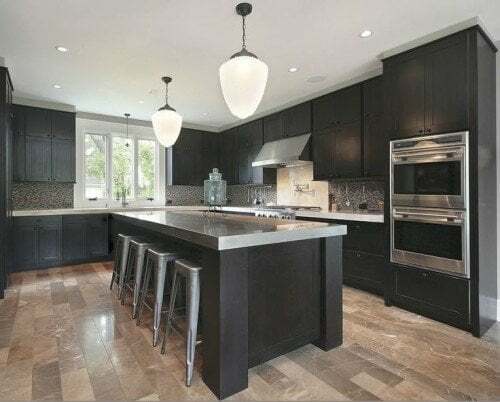 If you love dark kitchen cabinetry and dark wood floors in a small space, lighter, shiny finishes on your counter tops can help break up the solid blocks of color and make your kitchen feel lighter, larger and more open. 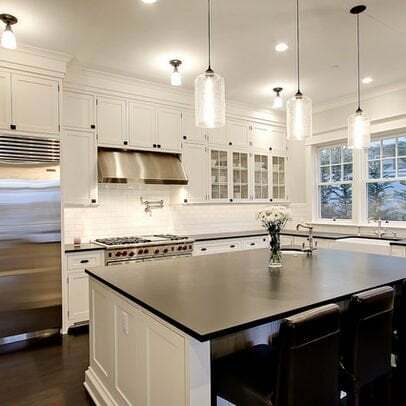 This is where shiny surfaces and large metallic, grass or silver light fittings, light translucent back splashes or a white sink can help you. Glossy splashbacks, pendant lighting and shiny metal that reflect light can increase light, balancing your dark kitchen cabinetry. Adding the tiles above the kitchen cabinets makes the room feel bigger and lighter. 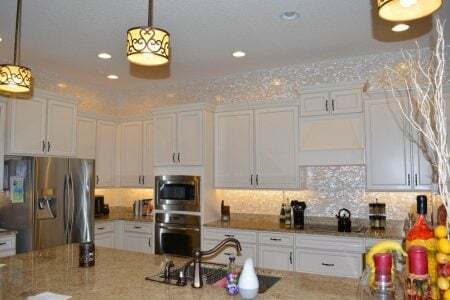 Even if your kitchen window gives you good quality light during the day, the kitchen is used for so many hours into the night, that you should consider quality task lighting. Copper pendant lighting fixtures reflect light and brighten dark corners. They look great over breakfast bars and kitchen islands where light often feels a little low; adding task lighting where it is needed most. With pendant lighting being so popular you can find an amazing selection of accent kitchen pendant lights in brass, copper and glass. The best kitchen window treatments in a dark kitchen are either sheer or none. If you love a dark bedroom, then this is for you. Dramatic dark bedrooms are wonderful to relax and sleep in. Dark walls, bedding, heavy dark wood floors and dark accents create a sort of womb effect which is wonderful to come home to after a long day. Add light colored bedlinen, cushions and rugs to balance out your look. The careful addition of soft lighting in strategic areas will help you keep the mood without having you walk in the dark. Lighting concealed in display built-in shelves such as “puck” or under cabinet lighting, pendant lights and side table lamps can help you adjust your lighting needs without destroying the mood. Lighter finishes in your window treatments, mirrors and soft furnishings are great for solid dark walls and dark ceilings. Keep your curtains, light or sheer if possible. Use shiny hardware where ever possible; brass doorknobs or furniture pulls, mirrors, lamps and lighting all with shiny finishes. Dark walls in a dramatic bedroom can easily be offset with contrasted light colored throw pillows, sheeting and bedding in soft ecru, butter yellow or off white. In dark rooms this adds to creating a relaxing atmosphere. Balance out the large areas of dark space with equally large areas of lighter finishes and accessories. You can stick with neutral and white accents against your dark walls or add pops of color to make your home decor really stand out. 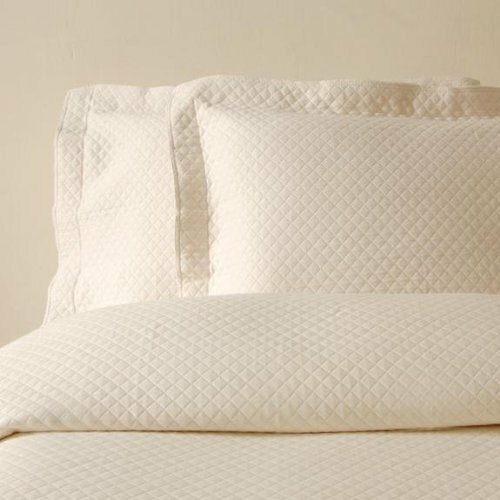 Soft bed linen colors give a feeling of space and light. Add pops of color with your pillows, throws or other accents. 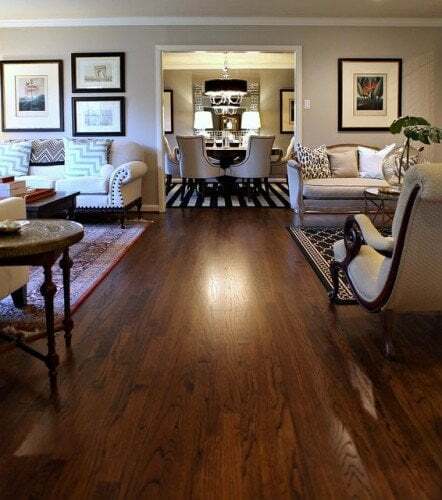 If you have dark wood floors consider painting or stenciling them or use a light colored rug that covers most of the floor. The dark floor will create a border around the room, making it feel and look bigger. Dark colors are rich, dramatic and a great resource if you want to add character to a featureless room. If you want to experiment with dark colors, first, consider the amount and source of natural light in your room. The more windows and doors in your room, the darker the wall color can be. Use this as your guide. If your room has very little natural light, but you love dark walls, use light paint colors on your ceiling, floors or base boards and trims to lighten your room. Most closets are very small dark rooms. They are without windows and have poor, if any, lighting. But dark closets are difficult to use. 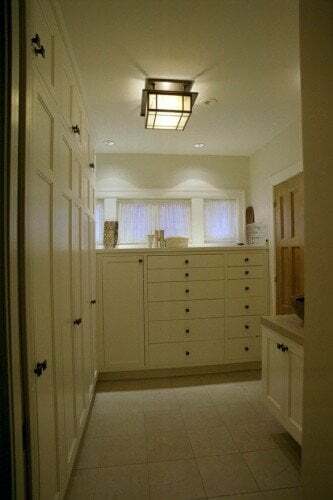 Depending on the size of your closet, there are ways to add light to it using lighting fixtures such as pendant lights and recessed lighting. Add lots of mirrors, like the doors above, to reflect light. You can also use LED closet rod lighting like the one below. These are high end products but you can find similar products that cost much less like this fluorescent light rod. Here is another alternative: using LED closet lights but you may need more of them to do the job properly. This adds extra lighting to dark rooms and corner spaces like your dressing and hanging areas. If you have an exterior wall to play with, you can add more light to a dark closet with a window or clerestory (top of the wall) windows that allow light in without losing storage space or privacy. The first thing to do is remove things that are absorbing too much light. Dark curtains, dark furniture and dark floors all absorb a lot of natural light and that's a great place to start. I got a lot of new ideas and techniques to try from this article. Those inspirational photos you’ve used are really magnificent. 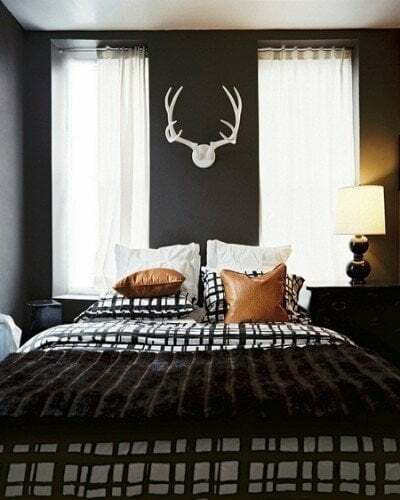 For me, dark wall paints are dramatic and give a lot of accents in a room. Matching it with a good lighting fixture would be a real score. Thanks Catherine!! I totally agree with you.. for drama its dark walls. I'm looking for advice. My new room is really small and it only has one tiny, square-shaped window. The ceiling is really high, tough. It is a really dark room, even at noon. I can't paint the walls or make big changes. Any advice? Hi Elena - thanks for writing in. Go light with whatever you can.. since you can't paint the walls, try lighter colors in fabrics, chairs and sofas. 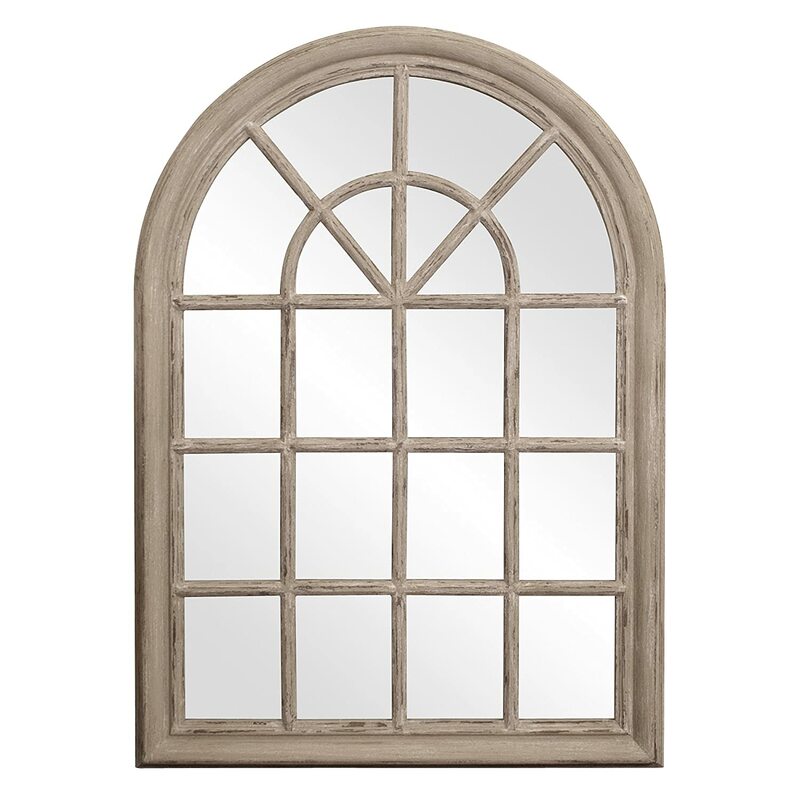 Mirrors, or other reflective surfaces like glass, will also help to make the room feel a little bigger. Lighting is important - floor lamps and table lamps can help. Add one thing at a time. Layer your effects until you get what you like. Add something to the walls for a focus; something stronger in color, shape or texture that will anchor the room and keep the focus away from your very high ceiling. Good luck!! Mirrors are good but only if what it reflects it light. Otherwise it will reflect dark and look like a black hole. Try some sort of light colored art behind glass. Whatever light there is will reflect off of the glass AND the light color behind it, giving the light a brighter surface off of. 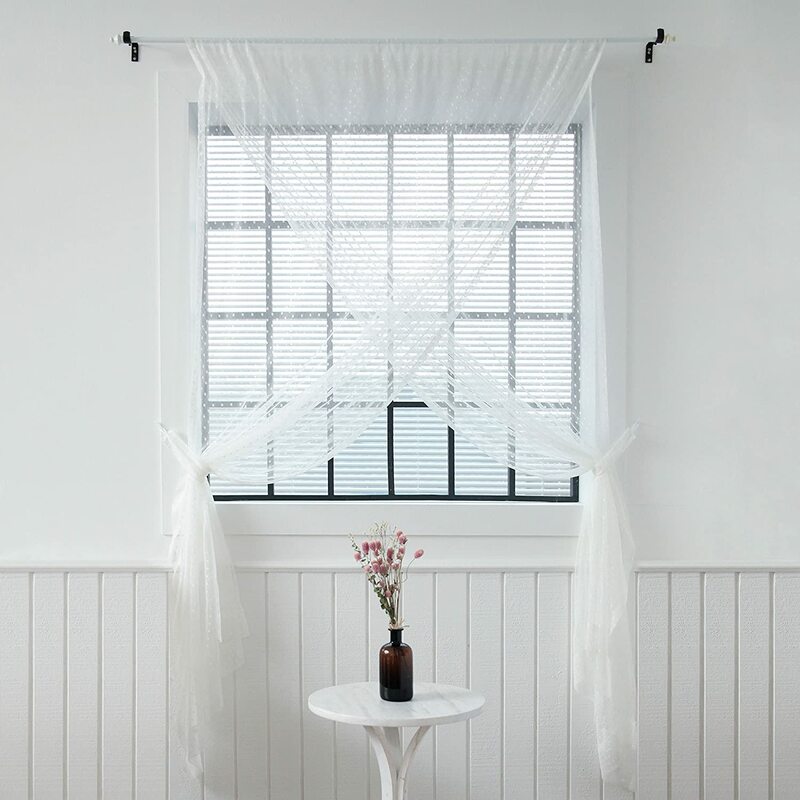 Where can I find a double layer sheer white curtain like the one pictured with each layer pulled to opposite sides? I love that look! this is actually two curtains, same size and width, sewn together and then moved to either side so they cross each other when pulled aside. You can do it yourself or buy them ready made. Here is a link to something very similar at Amazon http://amzn.to/2b22aho. They are available in different sizes and have good reviews. What color gray is on the wall in the picture underneath Paint Colors for Dark Rooms? Thanks! I hope this helps! There are so many great gray colors.